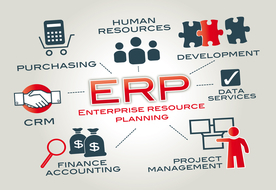 Associates think of ERP implementation as a transactional system and not as an information repository that can be used for problem solving or better decision making. Resistance to make organizational changes such as centralizing AP/AR and creating COEs to take full advantage of the system and improve process efficiencies. Resistance to online approvals, they are more comfortable signing on a piece of paper. Ownership from department heads that the system belongs to them and not IT department.